VIPRE Antivirus + Antispyware would probably not be the first anti spyware blocker which comes into mind when you need one but it is indeed a top notch spyware blocker. What makes VIPRE Antivirus + Antispyware unique is evident by its name. It combines both a virus and anti spyware blocker into one engine. This makes the program more versatile when its come to detecting the various malware which circulate the internet. What makes this spyware blocker even better is that it is available for a similar price to other major spyware blockers like Spyware Doctor and Malwarebytes Anti-Malware ($29.95 for a single user license). If you are interested in purchasing VIPRE Antivirus + Antispyware then read on to find out the pros and cons of this anti spyware blocker. VIPRE Antivirus + Antispyware follow a clear cut and professional design, making it to easy navigate for computer users of all levels. The default overview screen shows all the important information you need. It will show a concise summary of your scan status, active protection option, email protection, update option and your current subscription plan. What makes VIPRE stand out in terms of its design is the worldwide threat level section which you can observe in the overview page. It will tell you how severe the current threat level is based on the number of spyware infections which have been recorded throughout the past few days. VIPRE Antivirus + Antispyware have one of the most modern anti spyware blocker engines in the industry. I had no qualms about giving this anti spyware blocker a full score in terms of its detection rate because it is able to catch the latest rogue spyware and other forms of malware which has hit the online community. It is also reported to have one of the fastest scanning times compared to other spyware blockers. According to the CNET Lab’s Window XP performance test, VIPRE was the fastest in terms of boot speed at a time of 28.73 seconds. VIPRE Antivirus + Antispyware again scored a top score when it came to impact on the computer system. You will find that VIPRE Antivirus + Antispyware is one of the lightest and fastest spyware blocker in the security application industry. The VIPRE spyware blocker installation only took a minute or two and you do not have to reboot your computer like you would have to do in many other anti spyware blocker applications. You can also go through a default wizard which asks you about your computer system. 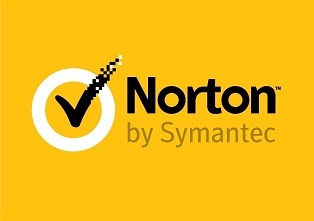 This is important because it then allows VIPRE Antivirus + Antispyware to be optimized for your computer system and your personal preference. Support-wise, Sunbelt Software has been excellent again in providing a wide range of support options for its users. The contextual help documentations which come with the spyware blocker is very useful and well-detailed. You will also find a list of online support websites, email addresses and a toll-free telephone support for your use. We liked this spyware blocker application so much that it was worthy of a full 20/20. One disadvantage of this product is that there is no firewall option available but Sunbelt Software has announced that future release of VIPRE Antivirus + Antispyware will probably include a firewall option. A fully functional 15 day trial is also available if you wish to try out the product before purchasing it. Click here to get your 15 day free trial or buy it immediately for a price of $29.95 for one user license. Add $10 extra to get a three user license. This entry was posted in Anti-Virus on August 9, 2009 by James. 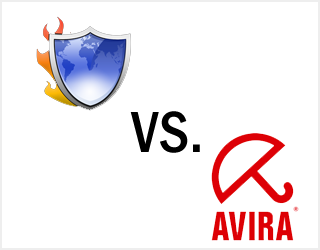 Comodo Antivirus vs. Avira Antivirus 2009 Free – Which one is better? When it comes to choosing the best free antivirus software, many people struggle in deciding whether to go for Comodo Antivirus or Avira Antivirus 2009 Free. This article will attempt to help you decide which antivirus program is more suitable for your needs. Winner: Avira Antivirus. You do not want your antivirus program to take up too much space in your harddrive. When it comes to proven malware detection rate, many users reported that Avira Antivirus overwhelms Comodo Antivirus. As Comodo Antivirus is untested and new compared to Avira, we are yet to know whether Comodo will prove to be a better long term prospect than Avira Antivirus but if you are looking for a strong detection rate then Avira Antivirus is the way to go. Do note however having a single Antivirus program on its own is not recommended for the security of your computer as a whole. If you are looking overall package-wise, Comodo Internet Security which includes a firewall software may be a better alternative. However, some users have reported that using Comodo Firewall and Avira Antivirus together has worked seamlessly with no compatibility issues. There is nothing much to mention other than the fact that Avira Antivirus is the best free antivirus software against Comodo Antivirus. Do note however Comodo has been improving of late so it may be a better alternative in the future. This entry was posted in Anti-Virus on July 20, 2009 by James.